Cats are the world champions in grooming and place the highest importance in cleanlineΒ and hygiene. Catsan has now developed the new Smart Pack, especially for our discerning feline friends. 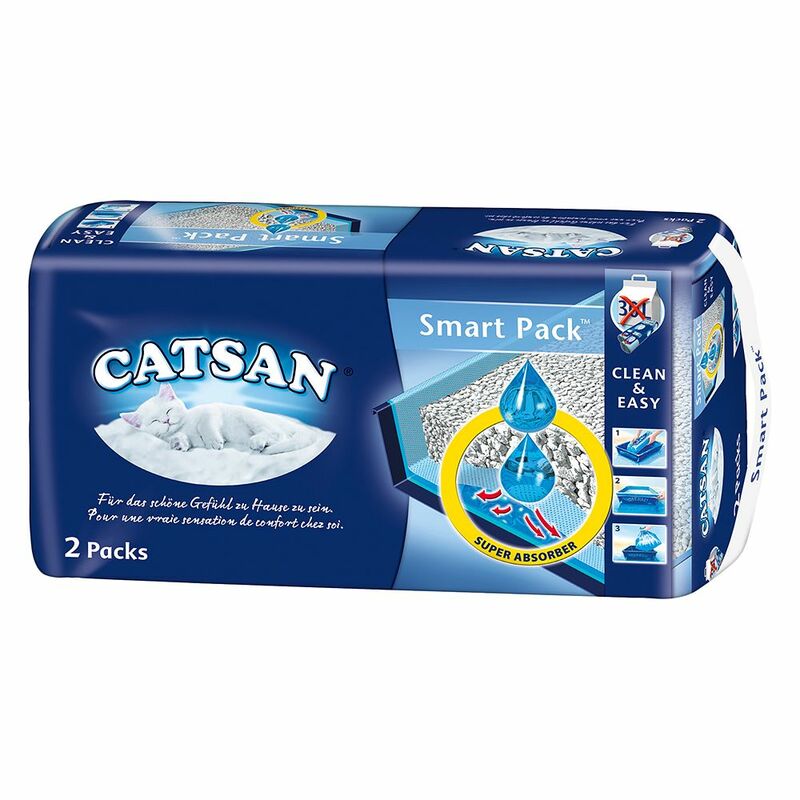 The new Catsan Smart Pack is an all-round winner: it provides simple handling, hygiene, freshneΒ and long-lasting use. It is ideal for almost all cat trays and contains a combination of extra-absorbent micro-fleece and hygiene cat litter. On top of this, it'll keep the bottom of your cat's litter tray pleasantly clean and will save you time on cleaning when you change the litter. Advantages: Noticeably longer dry litter thanks to quick absorption in the micro fleece Reliable locking of liquids for optimal odour protection Simple and hygienic handling and disposal Can be used in almost all conventional cat trays All attributes at a glance: No dust production when filling and emptying Excellent odour control Low weight Hygienically white appearance The two Smart Pack inserts are as efficient as 30 l conventional, non-clumping cat litter! Easy to insert and dispose of Tip: If you have underfloor heating, place an isolating mat under your cat tray. This prevents odour produced by the heating up of liquids locked in the grains.